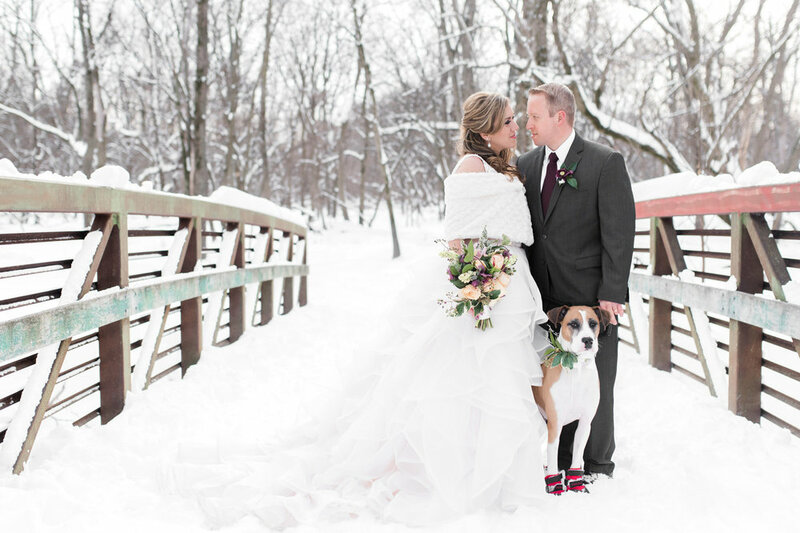 Diana and Darek were married earlier this year but couldn’t include their four-legged loved one Dustin in their big day! 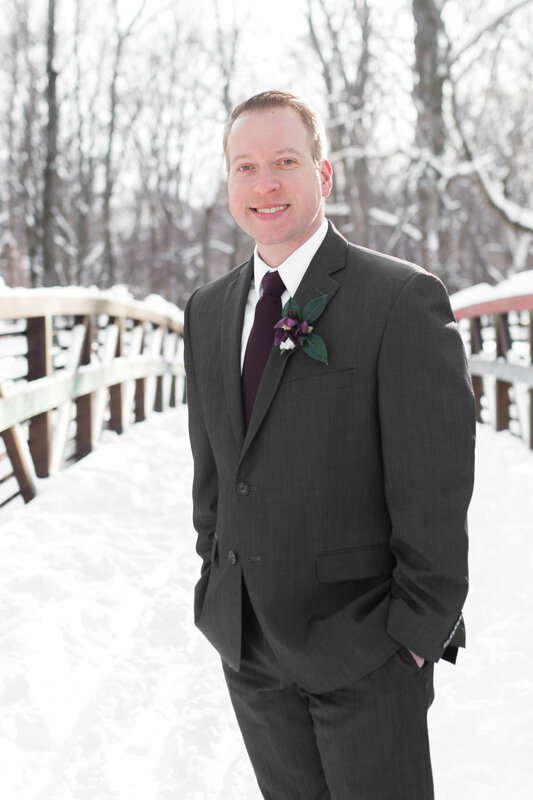 Instead, they opted for a snowy day styled shoot! The results are breathtaking! 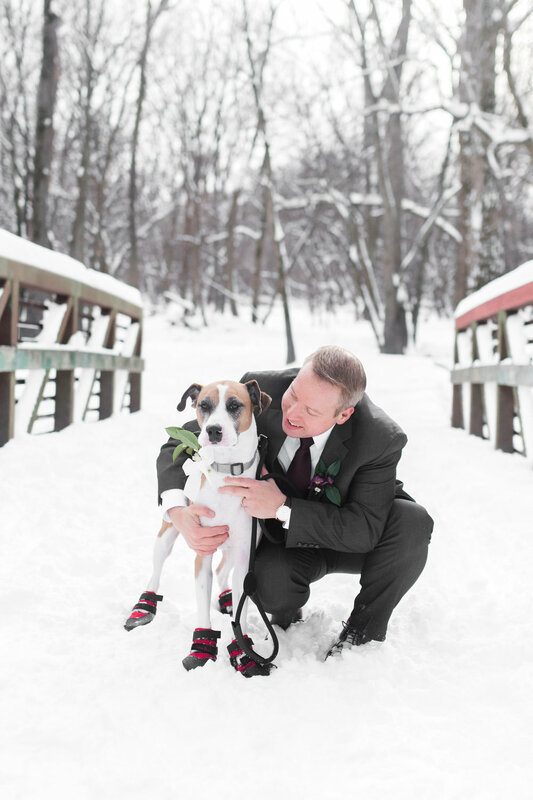 Keep scrolling for more of their story and their great idea of including their pet in their wedding celebrations. "We adopted Dustin from PAWS Chicago when he was just over a year old. He is a Boxer mix and will turn 6 in February. We aren’t 100% sure what his backstory is, but we do know that he was surrendered to the shelter, subsequently adopted and returned again. He definitely captured our hearts from the very first time we saw him and it took only a minute to realize that he needed to come home with us that day. Now we couldn’t imagine our lives without this rambunctious, quirky, and loving dog. He is absolutely hilarious and makes us laugh every day." 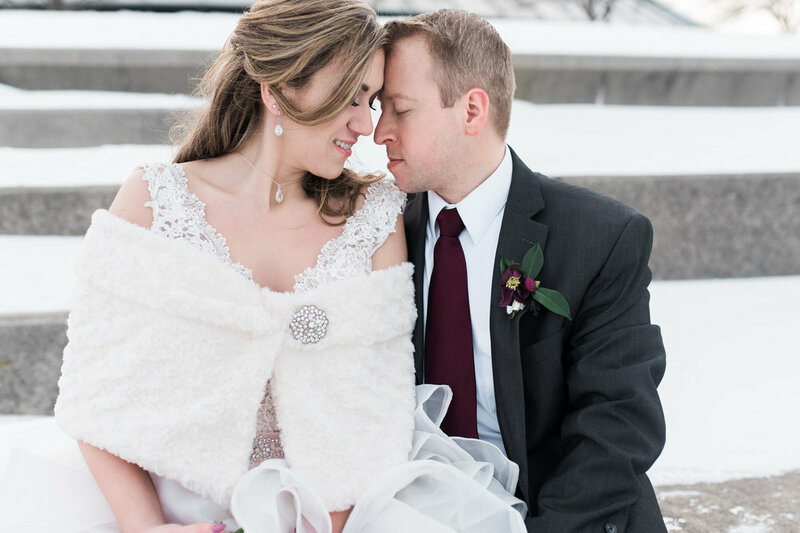 Through a serendipitous blizzard in Chicago; Diana and Darek's love of snow, a "styled" shoot was born. 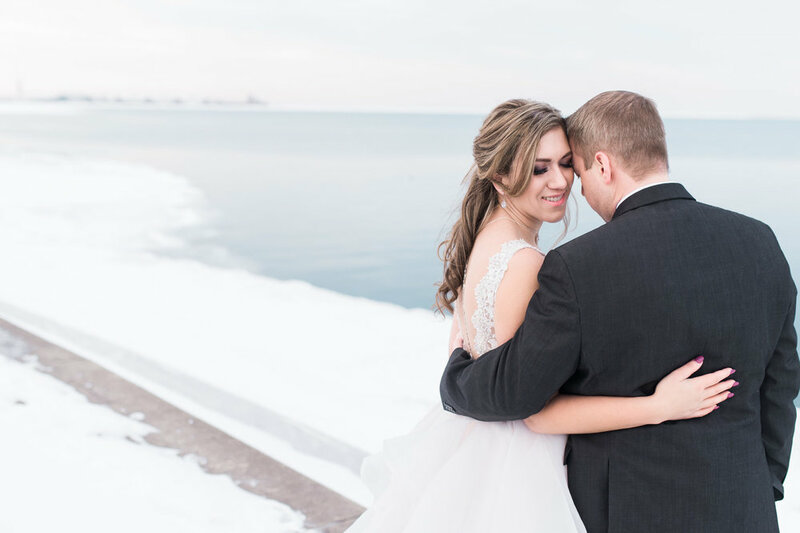 Diana's princess dress from Morilee by Madeline Gardner was perfect for the winter wonderland and 15 degree weather Chicago had in mind for the day. Lilyput created a perfect winter bouquet filled with garden roses, hellebore, and touches of bush ivy. The whole look was completed by Amelia C & Co, creating light curls that lasted through the wind, and using Diana's En Vogue Bridal Accessory from her wedding. 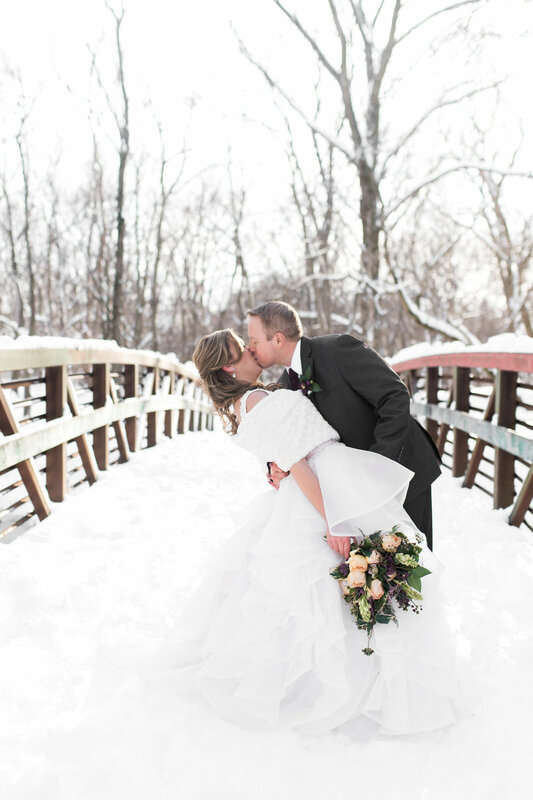 Diana and Darek's mantra for their life, and every adventure going forward is simply, "Fall in love with each other over and over again!"